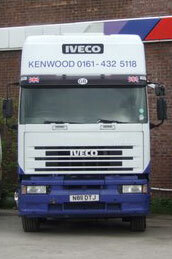 Whatever vehicle you run Kenwood can provide you with a full parts, maintenance, service & breakdown package. We also undertake maintenance contracts from major fleets – whether you run 1 or 100 vehicles - we can meet your needs. We can do your service planning, presentation for MOT testing, booked appointments and commercial vehicle steam cleaning. We carry out service and repairs on a wide variety of vehicles. At KCS we pride ourselves on working with our customers to ensure that the service we provide is of the highest possible standard. then please call within these hours.